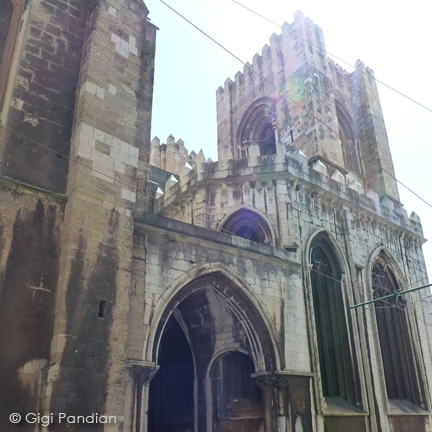 The Neo-Gothic Lisbon Cathedral (Cathedral Se) is part of the way up one of Lisbon's many steep hills, not far from Castle Sao Jorge. 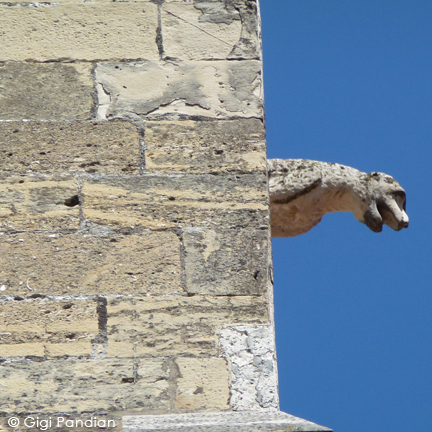 One of the most fascinating things about this cathedral is a legend associated with one of its relics. 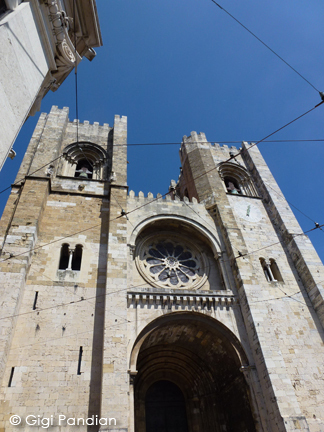 The cathedral holds the remains of St. Vincent, the Patron Saint of Lisbon. According to legend, two ravens watched over the saint's body as it was transported to its final resting place in Lisbon. The ravens took up residence in the cathedral, and their descendants remained there for centuries. 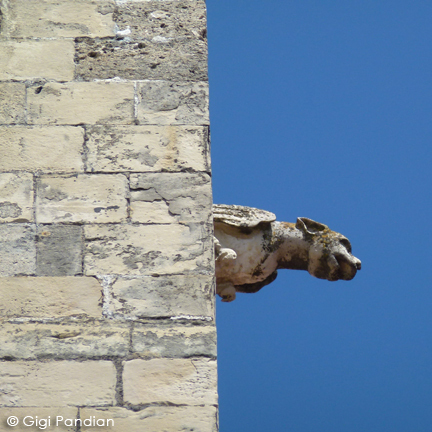 That's how ravens came to be a symbol of Lisbon and adorn the city's coat of arms. Construction of the cathedral began in 1147, after the Portuguese recaptured the city from the Moors. 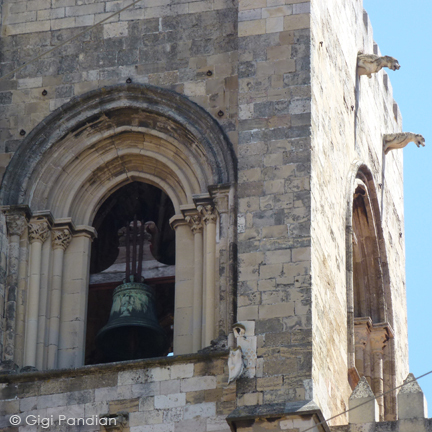 Part of the cathedral was destroyed in the 1755 earthquake that damaged much of the region. These days modern electric tram wires surround the cathedral. Though the wires obstruct views of the building, being able to ride the tram up the steep hill makes it worth it.